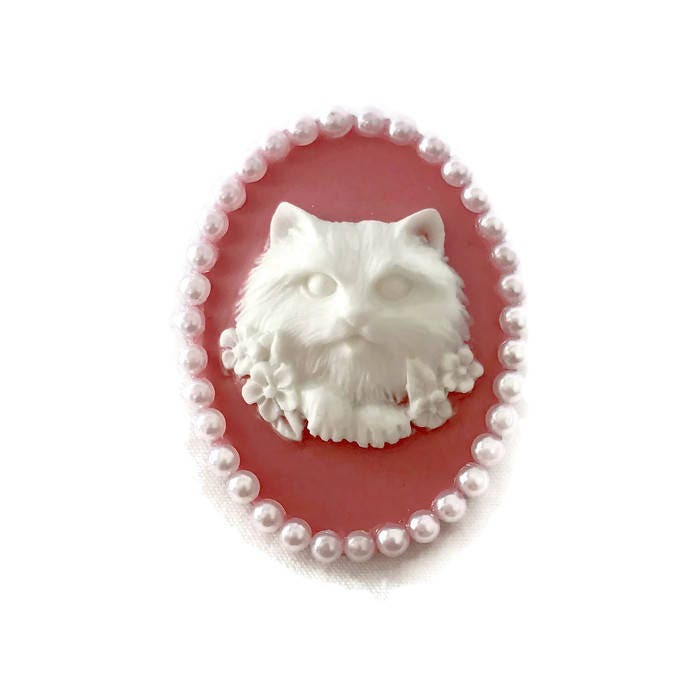 This pink and white cat brooch is a modern take on a vintage style. 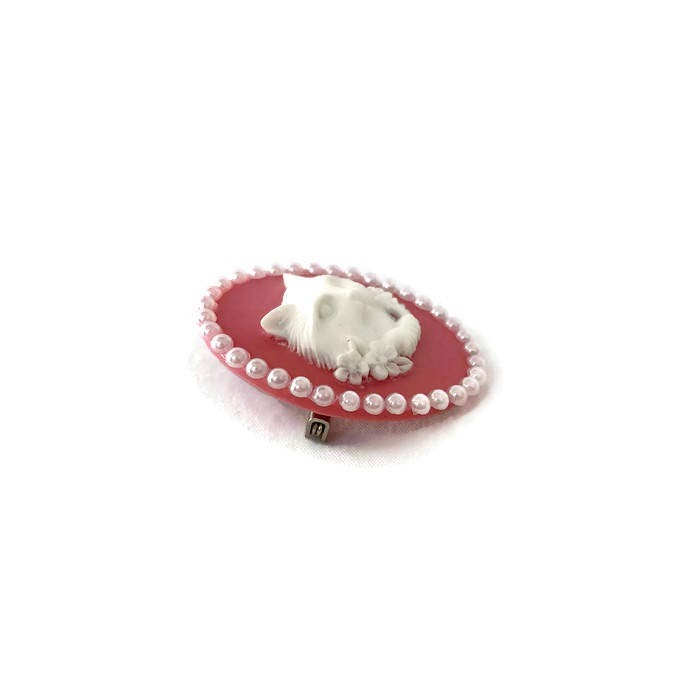 A white cat cameo on a pink background is framed by tiny white pearls. The cameo measures 30 x 40 mm or about 1.18 x 1.57 inches and is backed by a pin back. 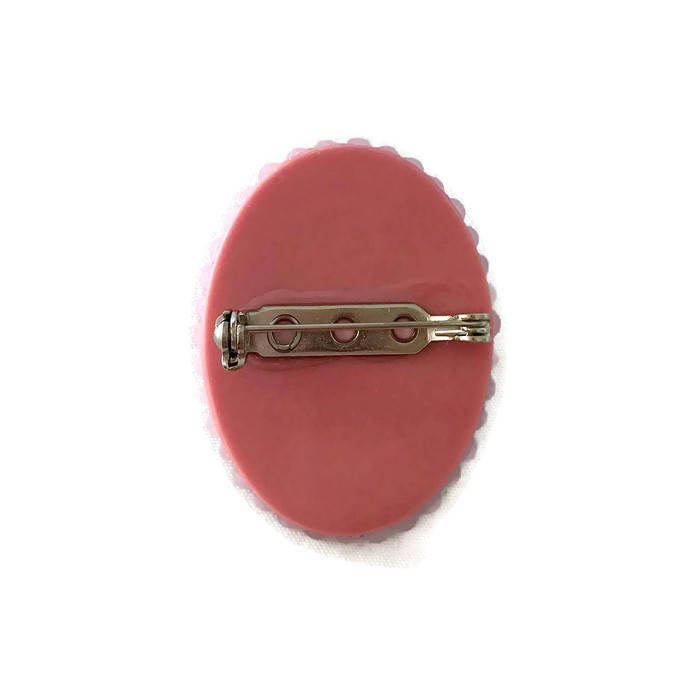 This pin's classic design is the perfect accessory for any retro gal or vintage vixen. Magnificent - just as lovely as the picture. I love this brooch! I’ve gotten lots of compliments. Exactly like the ad and super fast shipping!